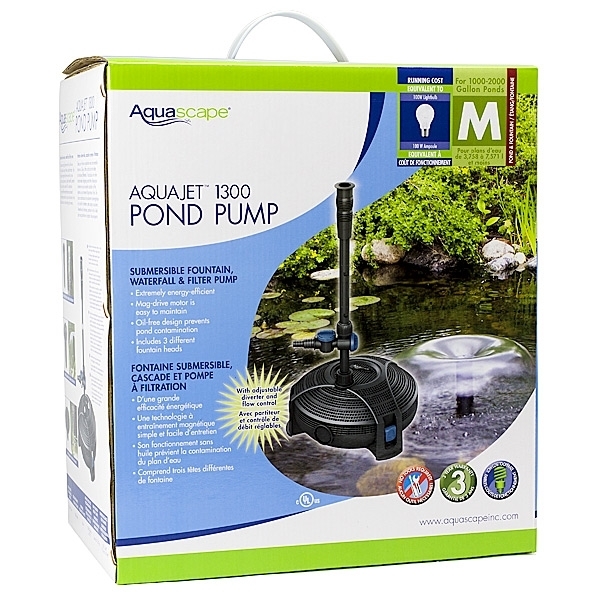 Aquascape AquaJet 2000 Pump is the complete solution for ponds up to 2,000 gallons. This high quality, magnetically driven water pump with fountain head combines energy-efficient performance with impressive flow-rates (up to 2,000 gallons per hour) and simple maintenance, making it the pump of choice for discriminating pond owners. 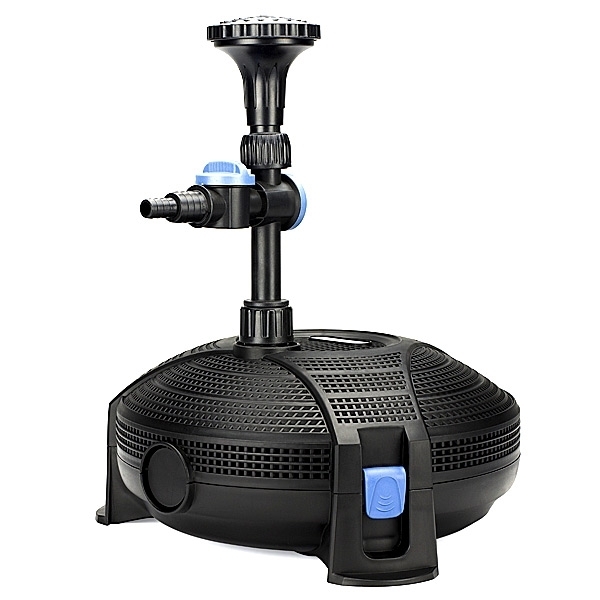 The adjustable, rotational riser stem makes it simple to adjust the fountain head to varying heights (up to 65”) and positions, as its adjustable diverter and flow control valve allows water-flow to be customized. Its oil-free design prevents pond contamination, while the wide flat base makes the stable and easy to place during setup. The protective pump cage with fine cage openings prevents debris from cogging or damaging the pump, significantly reducing maintenance. 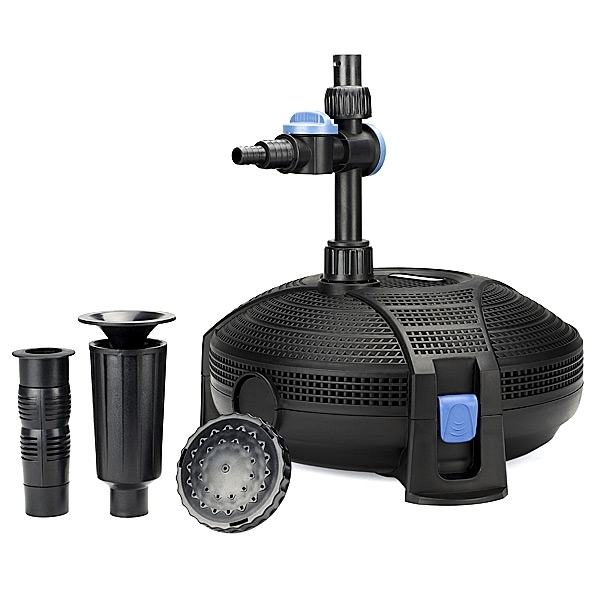 The pump comes complete with three fountain heads including foaming jet, daisy, and waterbell options. 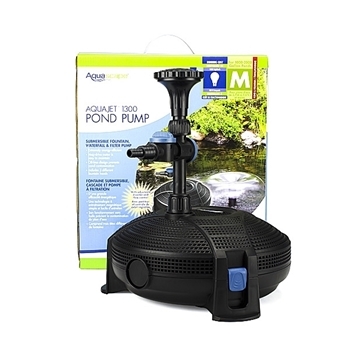 The Aquascape AquaJet 2000 Pump also carries a 3-Year Limited Warranty. Aquascape is passionate about the products we produce, providing unique products, designs, and features that stand above the competition. 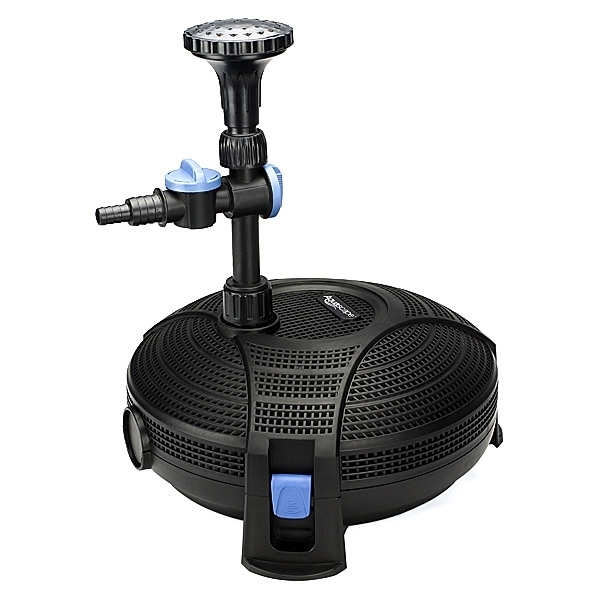 Maximum Fountain Height (Daisy) up to 65"
Discharge Hose Diameter on Diverter: 1/2", 3/4", 1"